Momentous news rocks the vineyards of Greece. Biblia Chora estate (Tsaktsarlis - Gerovassiliou) which is based in Kavala, Macedonia joins forces with oenologist Ioanna Vamvakouris in an impressive strategic move to the island of Thirassia, which is part of the Santorini complex. A new winery that is bound to change the wine map of the Santorinian area. 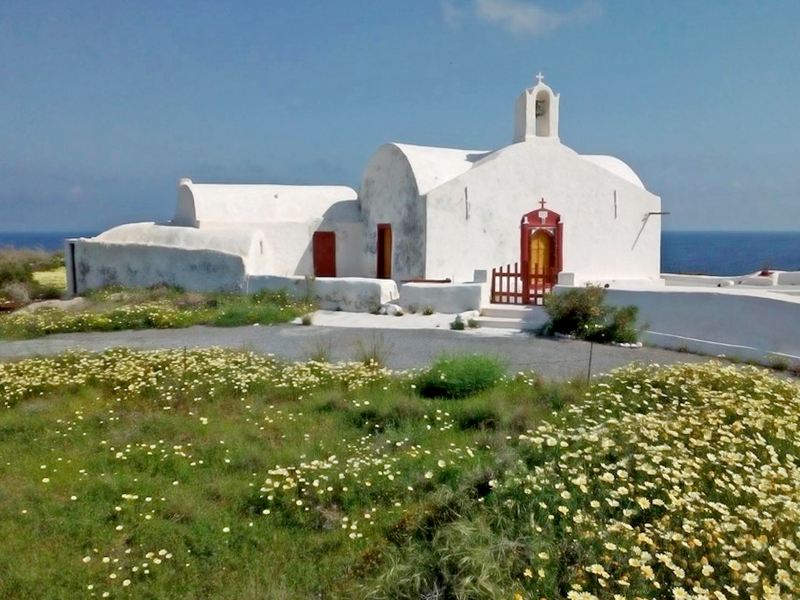 A company named "Ktima Mikra Thira (small Thira)" has been set up, with the name paying tribute to the 10th century designation of the island of Thirassia. "The purpose of the company", says Vangelis Gerovassiliou "is to create a vineyard and a winery that will produce PDO Santorini wines. 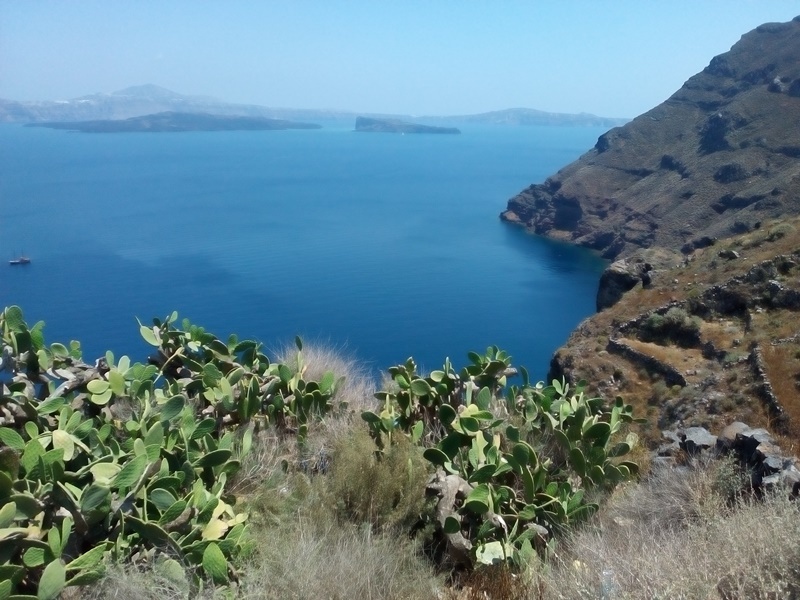 We consider Thirsassia a challenge and we want to demonstrate its potential, which we believe is the same as that of Thira (Santorini), and possibly even better." Thirassia was part of the Stroggyli (round) Island up to the disastrous eruption of the volcano in 1650 BC. Nowadays, the almost circular outline is formed by Thirassia together with the islands of Thira and Aspronisi, which belong to the same island complex. According to Ioanna Vamvakouri the current vineyard of the island amounts to 32.4 hectares, when the entire Santorinian vineyard is estimated at 1.200 hectares (including Thirassia). As she talks about the project she cannot hide her enthusiasm about the new partnership and says that Thirassia has been a dream of hers for the past 10 years! "The soils are exactly the same as those of Thira, but much more untouched". Biblia Chora already has experience with the Assyrtiko variety as it produces one of the top wines (Areti) outside Santorini, and Gerovassiliou-Tsaktsarlis are meticulous in everything they do. This ultimately generates high expectations for the Thirassia project, a terroir that has not yet been fully expressed. Vassilis Tsaktsarlis explains "Our goal is to promote and develop a special place and terroir. And while Santorini (Thira) is one of the most cosmopolitan islands in the world, Thirassia has stopped in time; it is some decades back. This is the absolute challenge for us. To manage to highlight Thirassia altogether". Τhe first harvest for Ktima Mikra Thira is expected to take place in 2018.